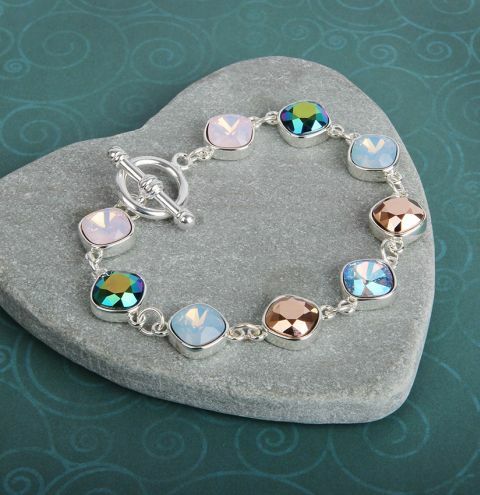 Make a sparkling bracelet in Swarovski's wintery coloured crystals! It will make the perfect gift this Christmas. Connect all of your crystals setting together with a jumpring either side and attach the clasp to the ends. Glue all of your crystals into the settings and allow them to dry before wearing your finished bracelet.